Better Biomass uses the standard NTA 8003 to classify the biomass categories that may be considered residual flow (also referred to ‘residues and waste’). Residual flows have only to comply with a subset of sustainability requirements based on a risk-based approach (e.g. no [indirect] land-use change), which make them a suitable biomass source for energy applications and bio-based products. The classification of biomass is addressed in NTA 8080-1:2015, Annex D by referring to NTA 8003:2008. Meanwhile, this edition has been superseded by NTA 8003:2017. 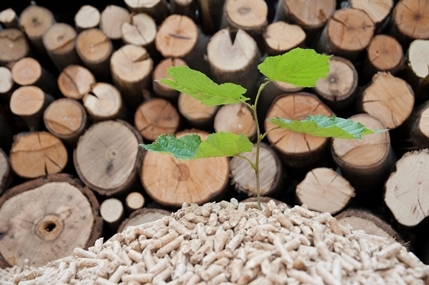 The current edition of NTA 8003 has introduced several new biomass categories whilst other biomass categories have been removed or amended, responding to market developments. From 1 January 2019, also authorities make use of NTA 8003:2017 instead of NTA 8003:2008. For this reason as well, it was concluded that the Better Biomass scheme documents needed to be updated. In Interpretation document N° 4, published on 1 April 2019, the classification in accordance with NTA 8003:2017 has been introduced. The revised categorisation has been discussed at a stakeholders meeting and has been approved by the Better Biomass scheme management committee. Input for the stakeholders meeting was an impact assessment, highlighting the changes and possible consequences. At this meeting it was agreed to make this impact assessment also publicly available. NTA 8003:2017 is available free of charge through the website of NEN (in Dutch only). Better Biomass certificate holders assessed within the framework of Directive 2009/28/EC (Renewable Energy Directive) or ‘Regeling conformiteitsbeoordeling vaste biomassa voor energietoepassingen’ (Dutch regulation dealing with conformity assessment of sustainable biomass for energy applications) have to comply with the biomass categorisation as laid down in the regulation concerned. The Interpretation document includes informative cross-references matrices to link the legal classification with the classification in accordance with NTA 8003:2017.